The crescent and a star is an internationally recognized symbol of Islamic faith. Christians have the cross, Jews the Star of David, and Muslims have the crescent. What is the history behind the crescent as a symbol? How and when has occurred the association with Islamic faith? The crescent and a star are dating several thousand years before Islam. It is difficult to determine the exact origin, but many historical sources indicate its use in central Asia and Siberia. Other sources associated it with the symbol of Carthagine goddess - Tanit or the Greek goddess Diana. Or in ancient Babylon and the goddess of love and war, Ishtar. 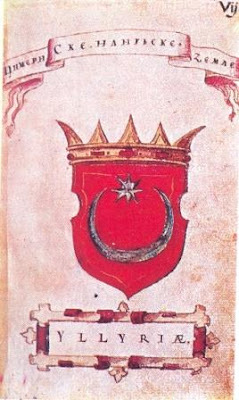 Bizantum City, later known as Constantinople / Istanbul, adopted this symbol and the flag with crescent and a star, hanging from its walls even before the birth of Christ. The reasons today are not confirmed, one (mostly Greeks) are associating with the goddess Diana, another with the Romans and their victory over the Goths in the first day of the lunar month. While Islam and Muslims in its beginnings did not had their own religious symbol. 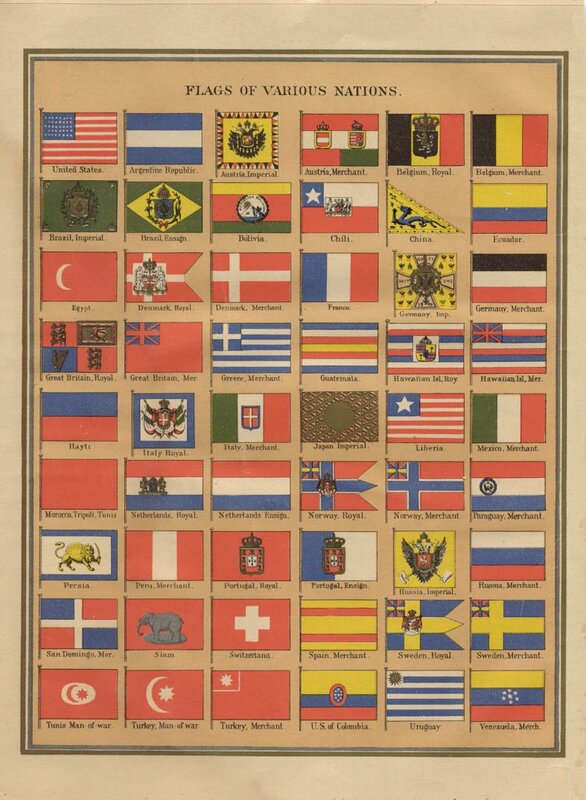 Most commonly they used the black-green-white color to mark their armies. That was until 1453 when the Ottomans captured Constantinople and have accepted this as their symbol. Ottoman Empire under its rule has had the largest number of Islamic countries, and through their use of the crescent and a star, the symbol became associated with Islam. There are various objections from the Muslims themselves in the use of this symbol. 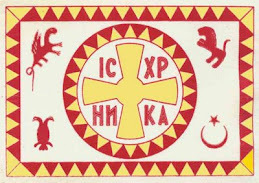 Let's look through the connection of this symbol in our Macedonian history and its use. 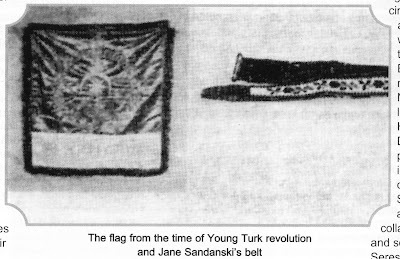 Red Crescent Star - Turkish battle flag, Man of war. This is the Italian version of a separatist flag of northern Italy ...region thay call PADANIA, seeking separation from Italy. Previous sign Next sign All signs in Group 29 29:6 · This ideogram is, among other things, a sun symbol. It has been found on seals in Mohenjo-Daro in today's Pakistan from 3000-2000 B.C. The sun wheel was the Gauls' most used beneficial amulet. The Gauls were the Celtic tribes living in what is now the French-speaking region of Europe. It is worth noting that the Celts used as the attribute of Taranis, the god of thunder. In this use the sign is equivalent to the staff carried by Zeus or Jupiter, , the staff of thunder and lightning. Christian symbolism adopted the form, changing it slightly so that it became a Christ monogram drawn within a circle: . The circle divided into six equal parts, with another circle in its center, , is the Tibetan world symbol, the world wheel. The outer is further divided into 12 parts in the same way as the Western zodiac circle. The inner circle band is divided into a light half and a dark half, which suggests that the wheel also symbolizes the same idea of the unity of opposites as does the Chinese yin-yang sign, . In Japan is considered to be a sign with positive connotations. This sign is not, however, widely used in modern ideography except as an electrical sign for a specific type of electric motor.. The alchemists sometimes used to denote malachite, an emerald-green mineral containing copper used, among other things, for the production of colouring pigment. Carl G. Liungman, the author of Symbols -- Encyclopedia of Westerns Signs and Ideograms. Firstly, I think we need to establish what academic qualifications, if any, does this man have in order to establish whether we are looking at a credible and scholarly source for the above information and not some crackpot making things up or bending the truth to suit his agenda. If he has academic qualifications, we then need to asses what his standing and reputation is amongst peers in his field. Never before published in the United States, this authoritative four-part history, dictionary, and index of non-iconic symbols is a revision of the author's Symboler , published in Sweden in 1974. Part 1 concisely traces the historical development of symbols since their first appearance about 20,000 years ago, then develops several topical themes: astrological, hobo, and Nazi symbols, as well as modern business logotypes. Classification by form is difficult due to the diversity of symbols, yet about 1500 are painstakingly classified into 54 groups in Part 2 where the history, derivation, and meanings are described for each. In Part 3, verbal descriptions, e.g., "peace symbol," comprise the easily used word index. There are some oversights in the index (e.g., astrological signs, which are treated in some detail elsewhere, only appear sporadically), but this is not a major criticism. Part 4, a graphic index, references information in Part 2 by shape and form. All historical periods and geographical areas are treated. Engineering symbols are deliberately excluded. There is nothing else quite like this well-researched work; other titles are older or specialized. Although useful for scholars and specialists, this is excellent for general reference. Highly recommended for medium to large reference collections. - Stanley P. Hodge, Ball State Univ. Lib., Muncie, Ind. Copyright 1991 Reed Business Information, Inc. --This text refers to the Hardcover edition. While the selection and classification structure of the symbols in the dictionary has much to offer, the actual _descriptions_ of the symbols leave plenty to be desired. 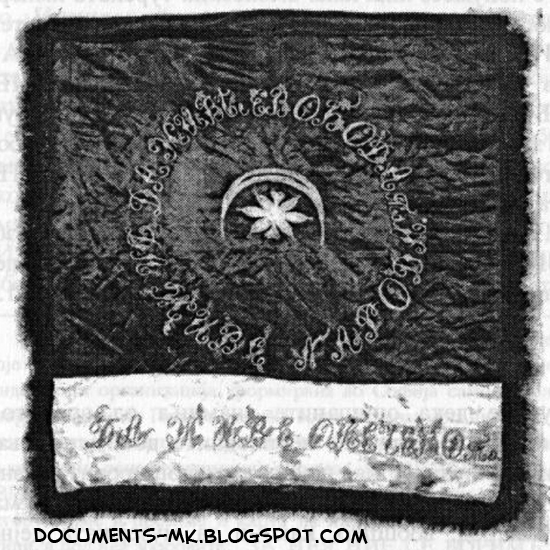 The authour seems to come from an astrological background, and the gaps in his knowledge (particularly with respect to electronic, hobo, and non-Christian religious symbols) are evident throughout; especially when seen side-by-side with the verbose coverage of astrological and Judeo-Christian symbols. While the classification scheme is amazing, and very well thought out, the actual content is rather below what I expected. Last edited by indigen; 05-06-2011 at 07:19 AM. In early times, the chief town and seat of the Paionian kings was Bylazora (now Veles in the Republic of Macedonia) on the Axios; later the seat of the kings was moved to Stobi. 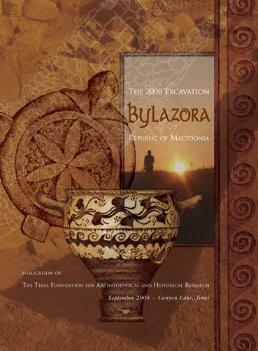 Bylazora was a city of the Paionians, situated along the banks of the Axios (now the Vardar) river in ancient Paionia (the region is now part of the Republic of Macedonia). In pre-Roman times, it was the chief town and seat of the Paionian kings, a major Paionian city, along with Stobi. Paeonia was later conquered by Macedon and later still by Rome, and the city eventually waned away. The modern Veles is located on the site of ancient Bylazora. 97 At about the same time Philip occupied Bylazora, the largest town in Paeonia and very favourably situated as regards the pass from Dardania to Macedonia. So that by his conquest he very nearly freed himself from the fear of the Dardai, 2 it being no longer easy for them to invade Macedonia, now that Philip commanded the passes by holding this city. 3 After securing the place, he dispatched Chrysogonus with all speed to collect the levies of upper Macedonia 4 and he himself with those of Boeotia and Amphaxites arrived at Edessa. p235Here he was joined by the Macedonians under Chrysogonus, and setting forth with his whole army reached Larisa on the sixth day. 5 Pushing on vigorously all night without stopping, he arrived before Melitea at daybreak, and setting up his scaling-ladders, attempted to storm the town. 6 He terrified the Meliteans so much by the suddenness and unexpectedness of the attack that he could easily have taken the town; but the attempt was foiled by the ladders being far too short for the purpose. abandoned and its ruins forgotten. Under the Romans, Paeonia formed a province called Macedonia Secunda or Macedonia Salutaris, belonging to the Praetorian prefecture of Illyricum. Following the conquest of Egypt by Alexander the Great the worship of Isis spread throughout the Graeco-Roman world. Serapis or Sarapis was a Graeco-Egyptian god. He was invented during the 3rd century BC at the orders of Ptolemy I of Egypt as a means to unify the Greeks and Egyptians in his realm. The god was depicted as Greek in appearance, but with Egyptian trappings, and combined iconography from a great many cults, signifying both abundance and resurrection. His cultus was spread as a matter of deliberate policy by the Ptolemaic kings, who also built a splendid Serapeum in Alexandria. Under Ptolemy Soter, efforts were made to integrate Egyptian religion with that of their Hellenic rulers. Ptolemy's policy was to find a deity that should win the reverence alike of both groups, despite the curses of the Egyptian priests against the gods of the previous foreign rulers (i.e Set who was lauded by the Hyksos). Alexander the Great had attempted to use Amun for this purpose, but he was more prominent in Upper Egypt, and not as popular with those in Lower Egypt, where the Greeks had stronger influence. The Greeks had little respect for animal-headed figures, and so a Greek-style anthromorphic statue was chosen as the idol, and proclaimed as the equivalent of the highly popular Apis. It was named Aser-hapi (i.e. Osiris-Apis), which became Serapis, and was said to be Osiris in full, rather than just his Ka (life force). Osiris was the mythological father of the god Horus, whose conception is described in the Myth of Osiris and Isis, a central myth in ancient Egyptian belief. The myth described Osiris as having been killed by his brother Set who wanted Osiris' throne. Isis briefly brought Osiris back to life by use of a spell that she learned from her father. This spell gave her time to become pregnant by Osiris before he again died. Isis later gave birth to Horus. As such, since Horus was born after Osiris' resurrection, Horus became thought of as a representation of new beginnings and the vanquisher of the evil Set. Last edited by Bratot; 05-06-2011 at 07:34 AM. Of course, feel free to establish those academic qualifications according to you, because I can't remember who was the last that gave the "authority" to someone to establish "Authorities" and to set some criteria. If there is particular objection to what I cited than make it precize, not with methods of 'Devil horns' in order to dismiss a whole theory. a merger of O.E. peonie and O.N.Fr. pione, both from L.L. peonia, from L. pæonia, from Gk. paionia (fem. of paionios), perhaps from Paion, physician of the gods (or Apollo in this aspect), supposedly so called for the plant's healing qualities. The root, flowers, and seeds formerly were used in medicine. 1590s, from L. paean "hymn of deliverance," from Gk. paian "hymn to Apollo," from Paian, a name of the god; originally the physician of the gods (in Homer), later merged with Apollo; lit. "one who touches," from paio "to touch, strike." The Flower of Life is a geometrical figure composed of multiple evenly-spaced, overlapping circles, that are arranged so that they form a flower-like pattern with a six-fold symmetry like a hexagon. In other words, the center of each circle is on the circumference of six surrounding circles of the same diameter. The Temple of Osiris at Abydos, Egypt contains the oldest to date example. it is carved in granite and may possibly represent the Eye of Ra a symbol of the authority of the pharaoh. The "Flower of Life" can be found in all major religions of the world. In Egypt, the source of all the monotheistic religions, the "Flower of Life" can be found in the ancient Temple of Abydos. In Israel it can be found in ancient synagogues in the Galilee and in Mesada. The "Flower of Life" contains the patterns of creation as they emerged from the "Great Void". Everything is made from the Creator's thought. The Paionian language is the poorly attested language of the ancient Paionians, whose kingdom once stretched north of Macedon into Dardania and in earlier times into southwestern Thrace. Classical sources usually considered the Paionians distinct from Thracians or Illyrians, comprising their own ethnicity and language. Athenaeus seemingly connected the Paionian tongue to the Mysian language, itself barely attested. If correct, this could mean that Paionian was an Anatolian language. On the other hand, the Paionians were sometimes regarded as descendants of Phrygians, which may put Paionian on the same linguistic branch as the Phrygian language. NOTE. Modern linguists are uncertain on the classification of Paionian, due to the extreme scarcity of materials we have on this language. 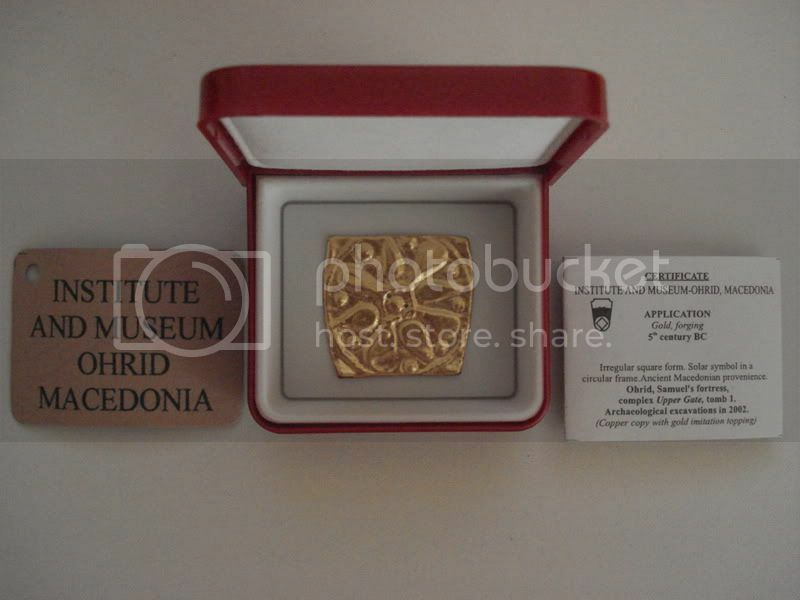 However, it seems that Paionian was an independent IE dialect. It shows a/o distinction and does not appear to have undergone Satemization. The Indo-European voiced aspirates became plain voiced consonants, i.e. *bh→b, *dh→d, *gh→g, *gwh→gw; as in Illyrian, Thracian, Macedonian and Phrygian (but unlike Greek). It is familiar that most of the Mijaks accepted the Bogomilism. Last edited by Bratot; 05-06-2011 at 09:27 AM. 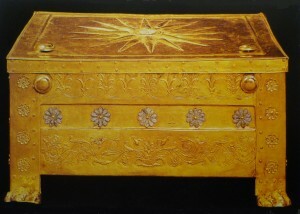 Gold Larynx (Funerary Chest) from tomb of Macedonian Phillip II, c. 336 BC. Horizontal Rosettes are ten- petalled, Vertical are eight-petalled. Last edited by Bratot; 05-06-2011 at 10:21 AM. In Slavic folklore and paganism the Flower of Life is called the Symbol of Perun or more traditionally the Thunder Sign. Even today for example in Russia it is inscribed on wooden beams of houses to protect them from lightning bolts, that is, to appease Perun, the Thundergod. There are also many of old houses in my village that have the Flower of Life engraved on the roof walls facing the street, although rosettes are more common.